On the 10th April 2017 we were all packed and ready to continue on with the Kiwi Experience tour of the South Island. 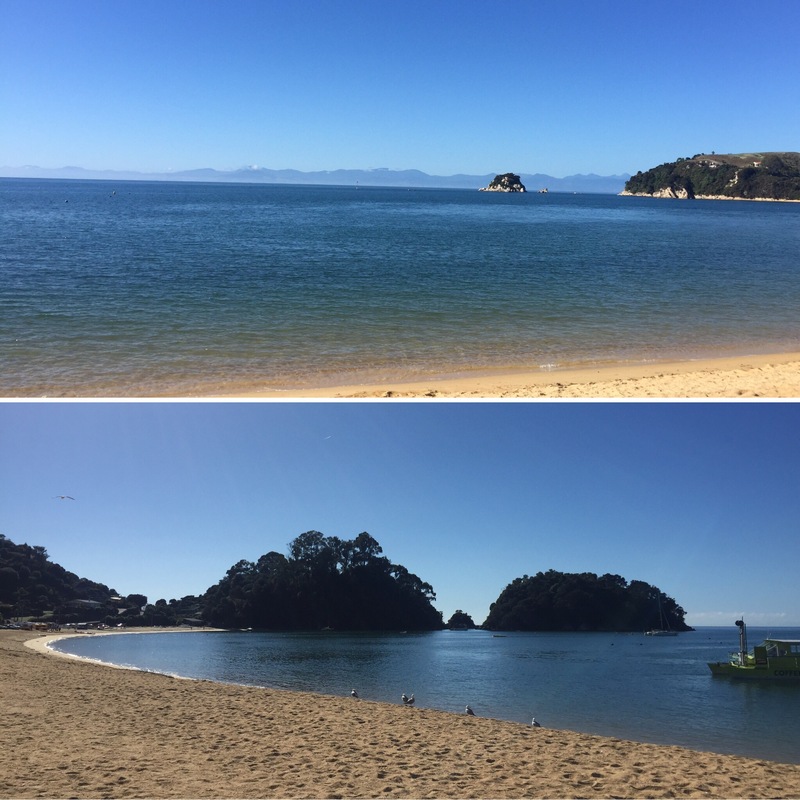 We had loved our couple of days in Abel Tasman and enjoyed a relaxing morning by the beach. Some of the lads we were travelling on the coach with were watching the golf which kept Niall occupied until we were ready to leave. 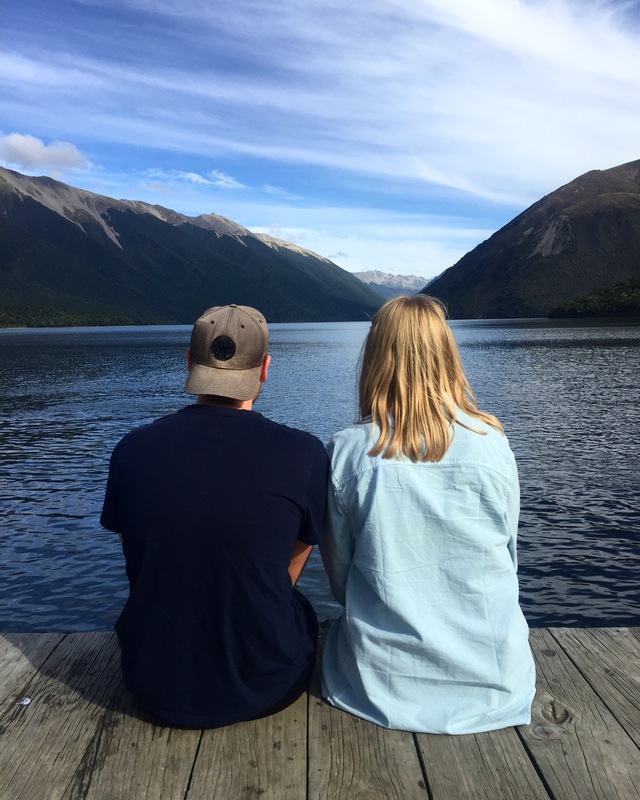 Our next stop was to Lake Rotoiti which is a gorgeous still lake framed by some enormous mountains what beautifully reflect off the water. 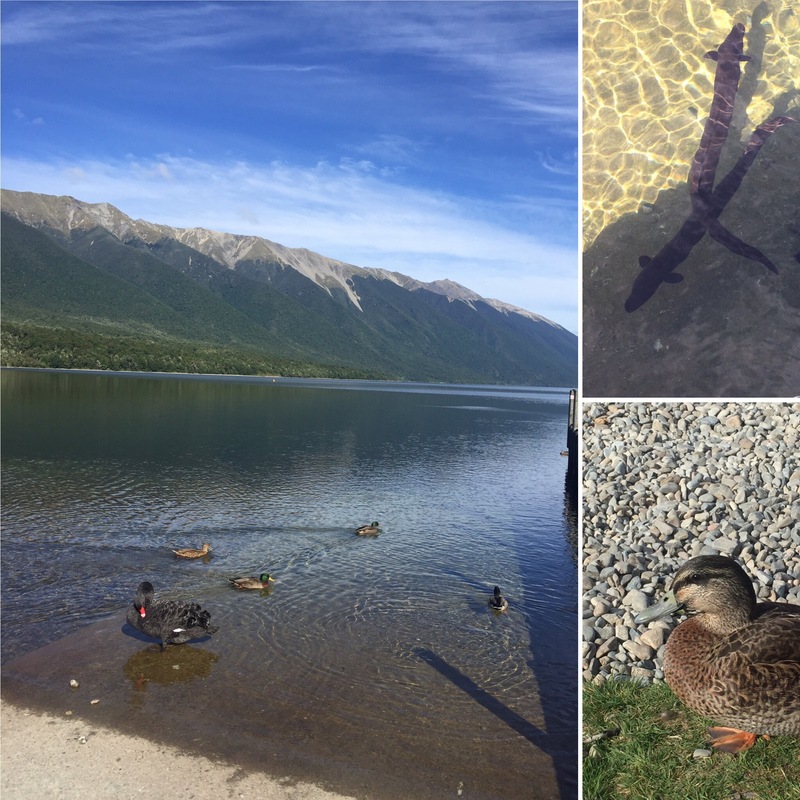 This is one of my favourite lakes from the entire time we were in New Zealand and I recommend it to anyone travelling there – it’s a must see! There is a jetty here and a lot of people change into their swimming stuff and jumped off. I could feel myself getting ill so I chose not to jump in in the hope that I could fight off my impending illness. 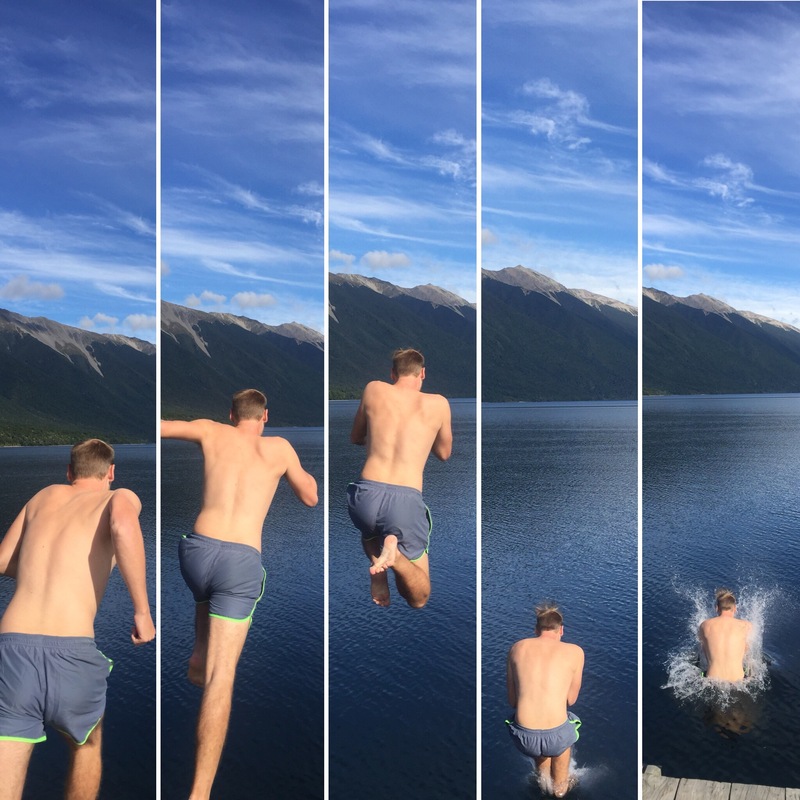 Niall did jump in though and said that the water was freezing – much colder than he had expected it to be! (There were also loads of eels in the Lake but they don’t bother you when you were in there!) We had our lunch at the lake which proved to be more of a challenge than expected as there were some very gutsy ducks who would try and attack you to get your food! Someone we became friends with even got bitten by one! We arrived in Westport at around 6:30pm and checked into our hostel. 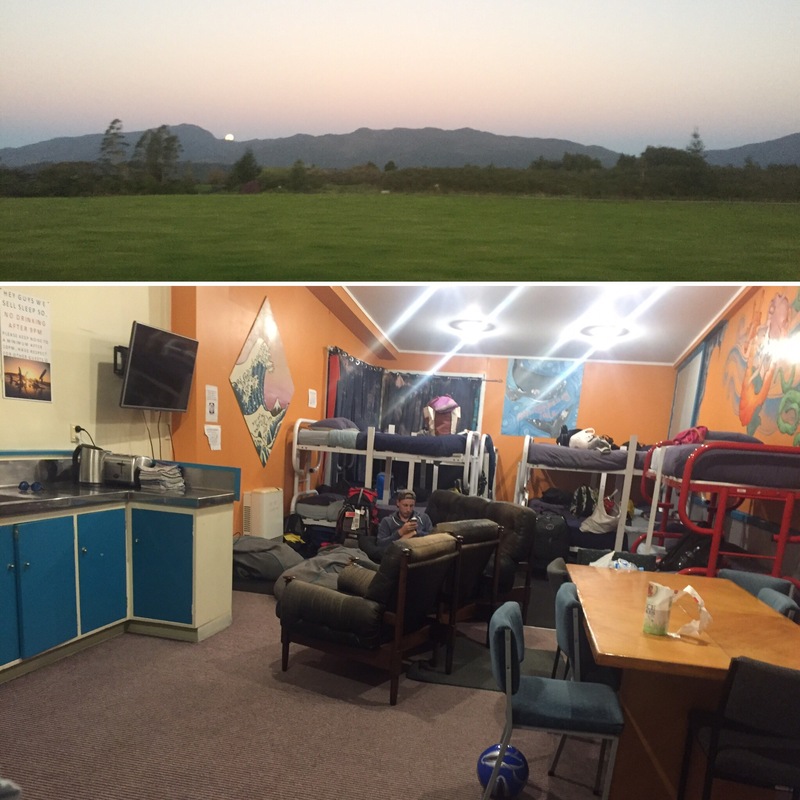 Our hostel room held 14 people and had a bathroom and kitchen attached. We requested to be with a group of people we had met on the bus and so all got put in a room together. Four girls were also put in our room and this group, with a couple of others, became the group we spent the rest of the South Island with – our own little Kiwi Experience family. We spent the evening getting to know one another, comparing stories on fun things we had already done travelling such as skydives and then we sat and watched the film Hitch – a favourite of Callum’s and voted on by the rest of us. It was raining a lot when we were in Westport and we were only there for the evening and so it certainly wasn’t a wild night for us all. This place really was just a stop off to get further down the country and I couldn’t tell you at all what Westport was like as a town. For me though it was a lovely evening spent getting to know new friends and so I’ll always like it for that.